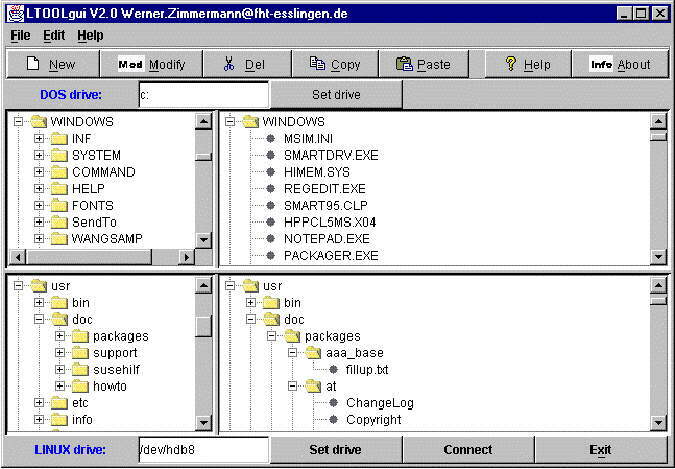 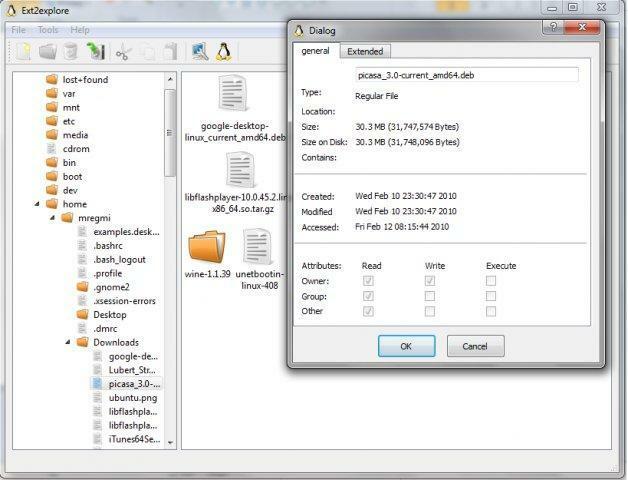 Ext2 IFS ( Installable File System ) is a Freeware Tool allowing You to Access Ext2 based Linux Partitions from Windows NT4.0/2000/XP/2003/Vista/2008 .It Basically Installs a kernel mode based file system driver Ext2fs.sys which provides extra Support For Ext2 File System Drives From Windows and automatically adds drive letters to Ext2 File System Linux Partitions. 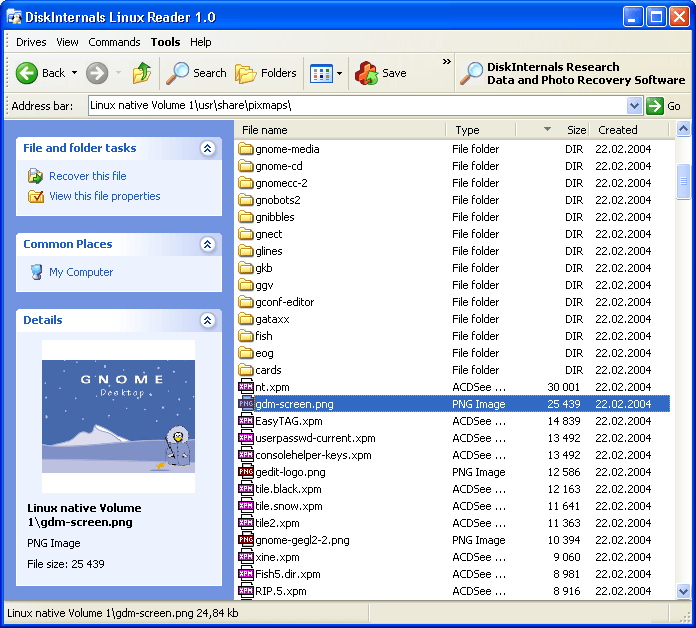 Disk Internals Linux reader is a also a Freeware Utility that allows you to Browse or Extract Files From Ext2 or Ext3 and ReiserFS File Systems.It Supports only Read Access Feature means that you will not be able to make Records in the Linux Partitions ensuring that any Interference with the alternative Files System Doesn’t affect Linux Later on. 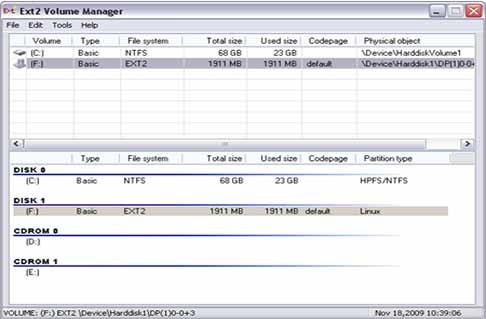 Ext2Read allows You to Browse or Explore Files Within the Ext2/Ext3/Ext4 Based File System Partitions with an Extra Support For LVM2 and EXT4.With the Use of Ext2Read You Can easily View or Copy Files and Folders From the Linux Partitions. 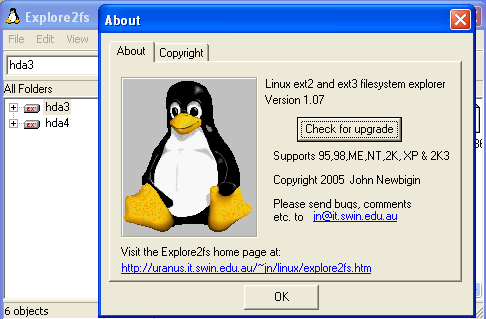 LTOOLS is a Powerful Utility that Comes with a Set of Command Line tools allowing you to Read or Write Linux Ext2 or Ext3 File System Partitions From DOS or Windows (XP, 2000, NT, ME, 9.x or 3.x)Even You Can Repair or Diagnose Your Linux System by Using DOS if Your Linux Partitions Fails to Boot.If You don’t want to Use the Command Lines then You can Use the GUI Based LTOOLS referred as ‘LTOOLSgui’ or else you can use ‘LTOOLSnet’ which is a .NET based user interface.